From the looks of it, the standard capacity of the Nintendo Switch game cards lies around 16GB at launch if Takashi Mochizuki, tech reporter at the Wall Street Journal, is to be believed. 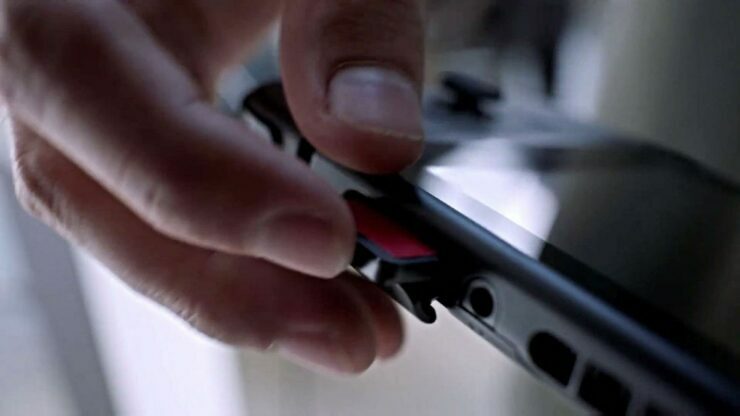 The Nintendo Switch uses DS-style game cartridges, but Nintendo hasn’t revealed further details on the Switch’s game card. While Nintendo has solely been using game cards for its handhelds, the company has been using physical discs ever since the GameCube. Current 3DS game cards have a storage limit of 8GB and this is more than substantial for 3DS titles, and even enough to fit most first party Nintendo Wii U titles on. In the Switch reveal trailer, we could clearly discern Bethesda’s Skyrim being played, and while Nintendo has stated that the trailer might not have showed “actual game footage”, Bethesda’s Switch support does imply that Skyrim might be released on Nintendo’s new platform later on. Since the remastered version of Skyrim weighs in at more than 20GB, a rather large game cartridge will be needed to fit the Switch’s third-party titles on. The Nintendo 3DS uses Mask Rom (MROM) for its game cards and the latest Rom technology from Macronix, XtraRom, allows up to 32GB of storage. According to WSJ tech report Mochizuki however, it looks like the Nintendo Switch game card capacity will be around 16GB at launch. Mochizuki adds that this is enough for a single layer Blu-Ray game, but this doesn’t seem to be correct as single layer Blu-ray discs can hold up to 25GB of data. A compact version of Blu-Ray, “mini Blu-ray”, has a capacity of 7.8GB on its first layer, but I don’t think Mochizuki is referring to this Blu-Ray variation. Nintendo will reveal more details about the Switch during a special Nintendo Switch Presentation in January 2017, including its game line-up and pricing. Hopefully, more will be revealed about the Switch’s game cards as well.